A blogger suing Scottish Labour leader Kezia Dugdale has denied that tweets he posted in March 2017 were homophobic. Blogger Stuart Campbell is suing Kezia Dugdale for £25,000 after she accused him of being homophobic in a Twitter post on his blog Wings Over Scotland, reports the BBC. Campbell made the comments on March 3, 2017 when he was live-tweeting about politician Oliver Mundell, whose father came out as gay in 2016, at the Scottish Conservative conference. “Oliver Mundell is the sort of public speaker that makes you wish his dad had embraced his homosexuality sooner,” wrote Campbell at the time. Appearing at Edinburgh Sheriff court on Monday (March 25), Campbell defended his posts. “I don’t think any intelligent person could honestly interpret that tweet as being homophobic,” he told the court, according to the BBC. In a column for the Daily Record, Dugdale had reportedly said she was “shocked and appalled” by what she claimed were “homophobic tweets” uploaded by Campbell. 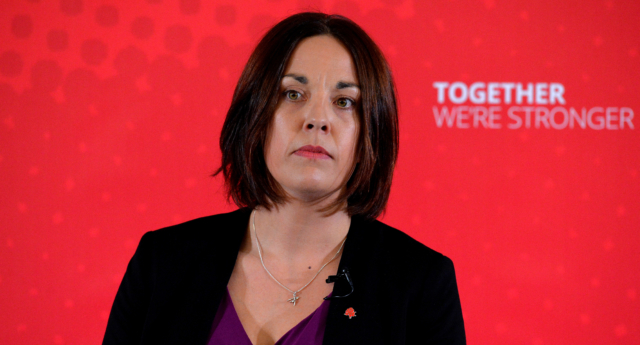 Dugdale is set to give evidence in the court on Tuesday (March 25). Mundell launched the legal case against Dugdale following her article in the Daily Record, alleging that she defamed him by saying he is homophobic. After being questioned by Dugdale’s legal team in court, Campbell said that only someone “dishonest or stupid” would believe that the tweet was homophobic.